It has become something of a rite of passage for Israelis to embark on a long journey after their discharge from the army. Travelling constitutes something like a bridge from the army time to a nascent adulthood of university applications or job hunting and thus a rare opportunity for carelessness for young Israelis who right after finishing high school are expected to fulfil their national duty of serving 2-3 years in the army. Many travel to Latin America, others to Thailand and Vietnam and even more to India. 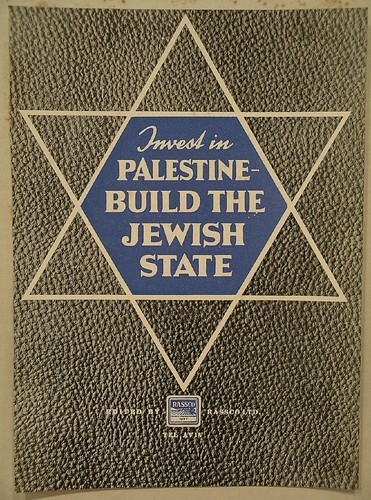 The India Phenomenon was born during the 1980s, and was probably fuelled by Israel's invasion of Lebanon and its response to the First Intifada. Especially the former event is by now widely acknowledged as having had severe psychological effects on those who were sent to fight. Notwithstanding this acknowledgement the Israeli army is regarded as constituting the backbone of the Jewish nation state, and talking openly about painful experiences during the military service is not very popular among the Israeli mainstream. Many young veterans therefore seek different ways to free themselves from those memories, whether consciously or not, and many of those regard India with its high tolerance and availability of recreational drugs as a promise of spiritual renewal. According to estimates around 30,000 Israelis visit India annually; the big majority of them are travelling on their discharge bonus and embark on what has become known as the "Hummus Trail", a chain of laid back refuges, many of which resemble Israeli colonies where entrepreneurs advertise their hostels and restaurants in Hebrew and where Israeli food reportedly accounts for 80% of the menus. The Israelis wandering on the Hummus Trail do not seek the unfamiliar, they are not interested in learning about different cultures or in interacting with locals. Instead they want to hang out with fellow Israelis, do as many and as diverse drugs as possible and go to trance parties. Due to this behaviour Israelis have gained quite a reputation among the local populations, as well as among other tourists travelling the subcontinent. Some hostel owners reportedly refuse to rent out their rooms or cabins to bigger groups of Israeli tourists and a catholic group in Goa has even published a whole report about the behaviour of Israeli tourists, in which they are being called "dehumanised" by their army experience and involved in drug trafficking and prostitution. The following video, produced by an Israeli comedy show, pretty much sums up both the rudeness of some Israeli travellers in India, as well as the reaction by the local population. Even if you do not understand the Hebrew bits in between it's well worthwhile a watch and a laugh. Due to the high drug consumption at least 2000 of those young Israelis suffer a mental breakdown every year, a notion that is commonly referred to as "flipping out" or "the post army India meltdown". Being aware of the extent of this situation the Israeli government has crafted a policy to respond to it and in agreement with the Indian government has set up treatment outposts on the Hummus Trail, which are run by the Israeli Anti-Drug Authority. These centres now form part of a larger network of insurance companies, hostel owners and rabbis catering to the lost souls and bringing them back home to the other Promised Land. Prominent among them is Hilik Magnus, a former Mossad agent, who runs an international search and rescue service, and who has become a specialist in repatriating young Israelis flipping out on drugs during their time in India. Another major player is the Chabad, a worldwide Messianic Jewish Orthodox movement, whose centres can by now be found in each and every corner of the world. Apart from saving lost, i.e. drugged souls, the Chabad movement clearly seizes the opportunity to bring the mostly secular young Israeli travellers back to Judaism. 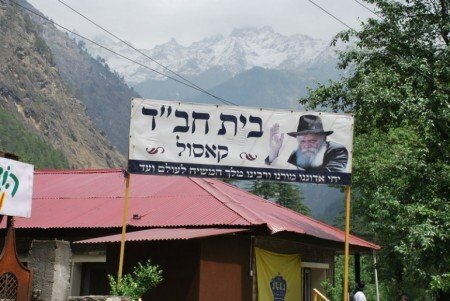 In Israel the large majority of those travellers would probably never even think about entering an Orthodox institution such as the Chabad, but probably the combination of alienation, drug consumption and existential soul searching that they experience in India lets them yearn for a return to their own spiritual roots. As a consequence a whole lot of the young veterans who embarked on the Hummus Trail return as different persons. Thousands reportedly require psychological treatment, others have turned into religious Jews and yet others do not come back at all. 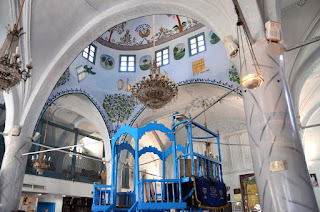 According to estimations between 40,000 and 60,000 Israelis have permanently moved or established long-term residence in India, predominantly in the southern Goa region also known as Little Israel.